The fifth and final day of this event started with a final table of eight. Jonathan Duhamel was one of the two big names on the final table, but, unfortunately, he was eliminated already on the fourth hand. The 2010 Main Event champion was all in with kings and an open-ended straight draw against George Danzer's two pair, but failed to improve. 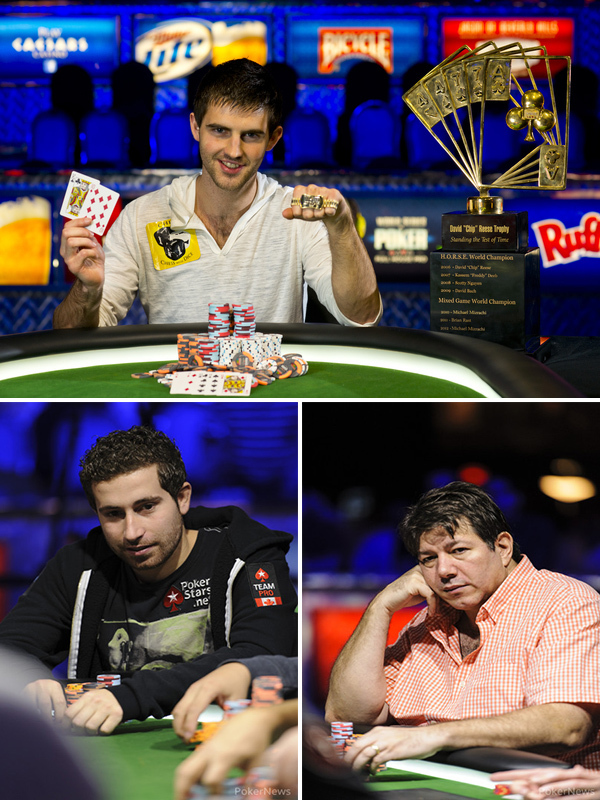 WSOP 2013: The Poker Players Championship Final Table Is Set! Posted on Thursday, July 04, 2013 by "T". The fourth day of the $50,000 buy-in Poker Players' Championship has now concluded. The day started at 2 p.m. local time with the remaining 26 players of a 132-player field. The field was narrowed down to a final table with 8 players after four and half levels of play. Don Nguyen, from USA, never let go of the chip lead during Day 4 and will now bring a 5,680,000 stack to tomorrow's final table. Although he has a pretty decent lead over the other 7 finalists, he will have to play extremely well on the final table if he wants to lay hands on the $1.7 million first prize. He's up against some very good, and experienced, tournament players (just have a look at the chip counts below and you'll catch my drift). Posted on Tuesday, July 02, 2013 by "T". The second day of Event #55: The Poker Players Championship ($50,000 buy-in) came to an end a few moments ago. David Benyamine will lead the final 78 out of 132 players into Day 3 of the tournament with a stack of 729,000, and Jonathan Duhamel (Day 1 chip leader) is not far behind with 666,100 chips. Besides Benyamine and Duhamel, there are lots of poker stars among the remaining squad of players. 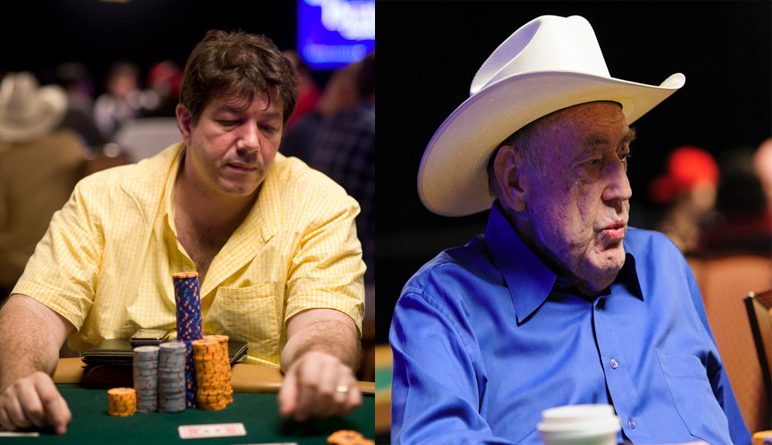 However, the most notable one has to be Mr. Doyle Brunson! That's right! 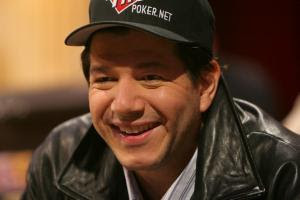 The godfather of poker is playing his first (and most probably only) event at the 2013 World Series of Poker. He will bring 265k to Day 3 and, according to his twitter, there are several side bets on how well he will do it in the tournament. So far it's looking pretty good. It will be interesting to follow him during Day 3! On Tuesday, the World Series of Poker Main Event continued with Day 3 from the Majestic Barrière in Cannes, France. 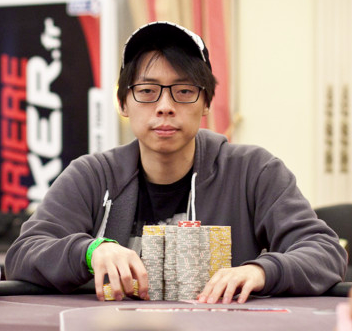 The remaining 77 players of 420 played six levels of poker during the day, and by the end of the night, 24 players had chips left and Joseph Cheong, who finished 3rd in the 2010 WSOP Main Even, had the chip lead. 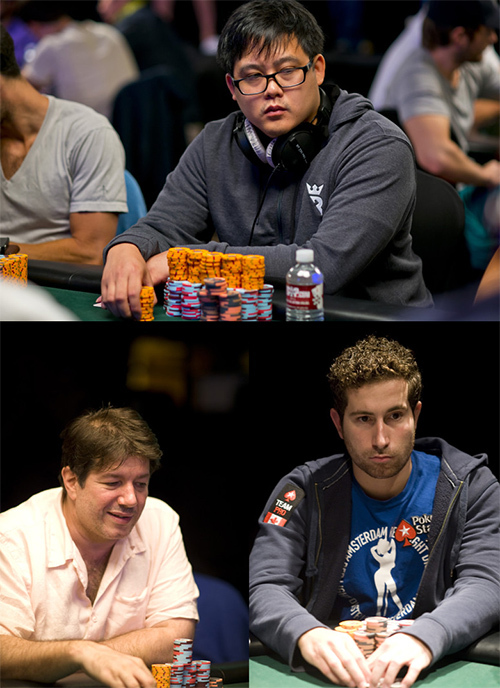 Apart from Cheong, Jason Mercier and Phil Hellmuth made it through the day with healthy stacks. Other familiar faces to survive the day were, for example, Liv Boeree, David Benyamine and Andy Frankenberger. Posted on Thursday, September 13, 2012 by "T". Day 2 of World Poker Tour Grand Prix de Paris has now come to an end. The day started with 143 players (we got the numbers wrong yesterday) and ended with 63 after some really exciting and wonderful four levels of poker. Philipp "Philbort" Gruissem will bring the largest stack (280,600) to the tables today, and there are many well-known faces with healthy stacks in the remaining squad. Just to mention a few: Juha Helppi (222,800), Faraz Jaka (157,400), Jason Mercier (140,700), David Benyamine (137,600) and Theo Jorgensen (126,900). The money bubble will burst when 27 players remain - all players will then be guaranteed at least $17,154 each. The winner of the tournament will take home bank-busting $515,720, and the runner-up gets $341,149! Erick Lindgren and Erica Schoenberg get married! Posted on Wednesday, June 01, 2011 by "T". Erick Lindgren and Erica Schoenberg got married on May 29th in Santa Barbara, California. Many of poker's biggest names, including Daniel Negreanu and Phil Hellmuth, attended the event! However, it remains unclear whether David Benyamine (Erica Schoenberg's ex-boyfriend) was there to congratulate them. Phil Hellmuth: "Driving to Santa Barbara w wifey for @edogpoker (Erick Lindgren) and @thehitwoman (Erica Schoenberg) Sunday wedding, then taking car to WSOP"
Read more » Erick Lindgren and Erica Schoenberg get married! Posted on Friday, September 24, 2010 by "T". On Friday October 8th one of the most expensive live tournaments in the history of poker will take place at Es Saadi Casino in Marrakech, Morocco. The buy-in for the tournament is nothing less than $100,000 and there are 40 seats available - 10 seats are reserved for american poker pros. 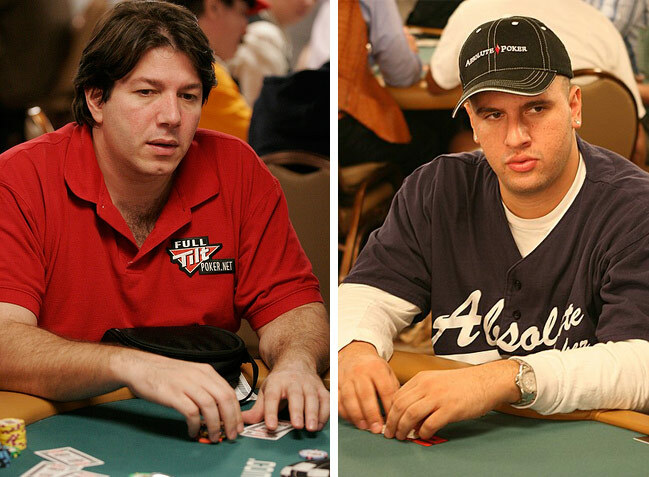 David Benyamine (highroller) and Michael Mizrachi (WSOP 2010 finalist) are two of the big names that have confirmed that they are attending. Posted on Friday, February 19, 2010 by "T". Phil Laak started the final table with most chips meaning that he had accumulated the most points before the final table. Phil was closely followed by David Benyamine. Both of them had been in the top of the field since the first heats. 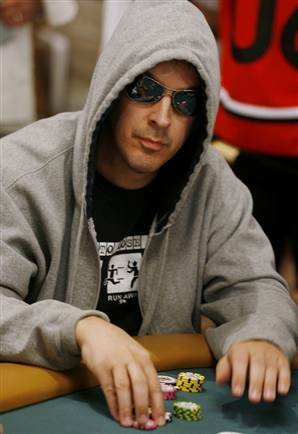 However, it came to be Phil Laak who was the first player to drop out of the field. And shortly after, it was time for Roland De Wolfe to leave. Daniel Negreanu was playing very well on the final table and also was the chip leader for a while. But unfortunately, Daniel was crippled by Luke Schwartch and then eliminated by David Benyamine. After that, it was time for Giovanni Safini, the online qualifier, to leave the tournament. He must have been quite satisfied with making $100,000 from the $120 he paid to take part in the PartyPoker Premier League IV satellite. PartyPoker Premier League IV: Phil Laak in the lead! Posted on Monday, February 15, 2010 by "T". A few days ago, PartyPoker Premier League IV in Las Vegas kicked off. 11 pros and 1 internet qualifier are now playing for a prize pool of $1,5 million dollars + a sponsorship contract worth $100,000. So far, three heats out of 12 have been played. Heat 1: Phil Laak wins the first heat! Phil Laak is a very good poker player. No doubt about that! Anyhow, even a good poker player like Phil can get lucky once in a while. Well, he got lucky many times in Heat 1 as he flopped sets numerous times when his opponents had big hands. Nothing could stop Phil this day, and after 8 hours of play, it was all over as JC Tran, last year's winner, was eliminated in second place. Read more » PartyPoker Premier League IV: Phil Laak in the lead! Posted on Wednesday, February 10, 2010 by "T". The long awaited PartyPoker Premier League IV is not far away now! Lots of pros are going to take part this year, which will make it super-interesting to follow. Just to mention a few of the most notable players that are going to take part, Phil Laak, David Benyamine, Daniel Negreanu, Vanessa Rousso, Phil Hellmuth and Tony G. Unfortunately, Doyle Brunson announced a few days ago that he was pulling out of the tournament because he's about to have a 5 1/2 hour long surgery on his teeth and gums and therefore won't recover in time. PartyPoker Premier League IV will run between 12 and 18 February and will for sure be one of the most exciting and thrilling tournaments this year! 2 days to go before the action kicks off! Posted on Monday, October 12, 2009 by "T". Gus Hansen had a great start in the beginning of the year with over 3 million dollars won. But then everything took a big turn in June and he lost all his winnings. Since then Gus has kept on losing big both online and live. For example: In September he lost $950,000 at Full Tilt poker, and thanks to that he grabs the (not so nice) first place in the list over September's biggest losers. Posted on Tuesday, August 11, 2009 by "K". 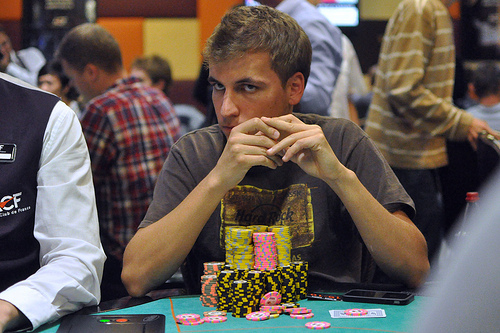 Gus Hansen, from Denmark, is one of the most fearless poker players in the world. He can bluff out anyone from a pot with nothing, and he's also good at getting paid off when he has a good hand. The style of poker he uses gets the most of his opponents on tilt, and it has really paid off. 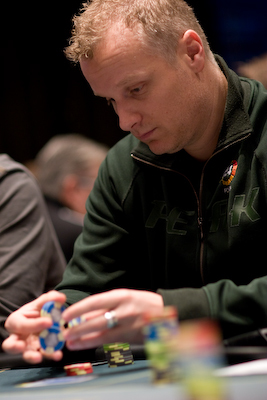 Gus Hansen, has won over $7 million dollars throughout his poker career at the highest stakes live and online. 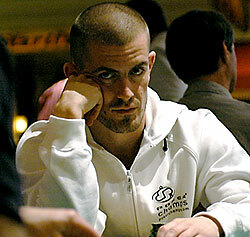 Lately however, Gus Hansen, hasn't had the luck on his side, and also he hasn't been playing his best poker. For example he lost around 1.4 million dollars last weekend. But as we all know, Gus Hansen, usually gets back in shape almost instantly after he has had a losing streak. The other day he won around $360,000 at Full Tilt, most of it from the French poker pro, David Benyamine. One of the pots these two played landed on $222,000, and it was Gus who took care of it. Let's hope for some more high stakes action with Gus Hansen at Full Tilt poker this week! Posted on Monday, August 10, 2009 by "T". Last week we wrote about the French poker pro, David Beyamine, who played under the alias "MR B 2 U SON" after that his sponsor deal with Full Tilt poker ended in the end of 2008. Playing under the new alias "MR B 2 U SON" didn't bring the French pro any luck or respect and he ended up losing around $1,6 million dollars. 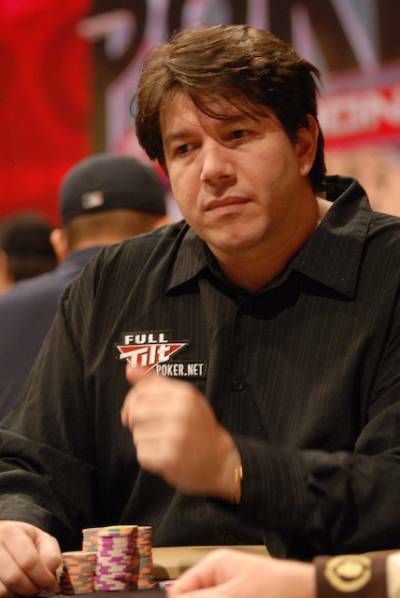 However, in the middle of July, things between David Benyaminea and Full Tilt poker seems to have been sorted out as he once again started playing on the highest stakes at Full Tilt with his "red pro"-account (table name: David Benyamine). Lately he has been doing nothing else than winning, and according to independent sources, he has won around $4 million with his "red pro"-account. This means that he has erased all the earlier losses he had with account "MR B 2 U SON". Posted on Monday, August 03, 2009 by "T". 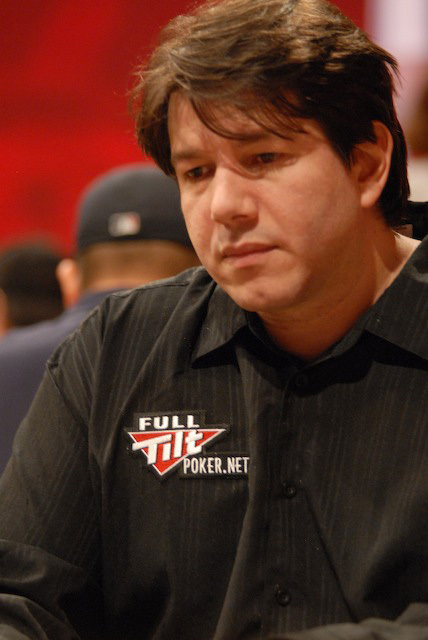 It was in the end of 2008 that his contract with Full Tilt poker ended due to unknown reasons. And because of this, he lost his "red pro"-status and started playing under the alias "MR B 2 U SON" instead. Rumors that were circulating at this time, said that, David Benyamine, was talking to PokerStars and Betfair about a new sponsorship and therefore planned on leaving Full Tilt. But, nothing was ever signed with any of these two sites, and David Benyamine continued playing under his alias "MR B 2 U SON" at Full Tilt. But now, since mid July, David Benyamine, has once again started playing with his "red pro"-account at Full Tilt, even though he still isn't listed as a pro on Full Tilt's website. Lets hope that, David Benyamine, playing with his real name and with the "red pro"-status, will run better and win some more money than he did under the alias "MR B 2 U SON". Because under the alias "MR B 2 U SON", he lost around $1,5 million dollars. Posted on Wednesday, July 22, 2009 by "T". Tom "durrrr" Dwan won around $800,000 yesterday when he took on some of the biggest poker pro's in the world on the $200/$400 Pot Limit Omaha tables at Full Tilt poker. One of the biggest pots was against Di "Urindanger" Dang and David Benyamine, then Dwan won around $310,000. Who is MR B2 U SON at FullTiltPoker? Posted on Friday, November 28, 2008 by "T". There are a lot of rumours circulating at the moment regarding the true identity of the new high stakes player at full Tilt Poker that goes under the name of "MR B2 U SON". Most of the railbirds and bloggers seem to be convinced that it is in fact David Benyamine that is now playing under a new alias after having left Full Tilt earlier this month. Read more » Who is MR B2 U SON at FullTiltPoker? Posted on Friday, September 26, 2008 by "K". Day 1 in the WSOPE Event #3, £5,000 Pot Limit Omaha ended a few days ago. Only 45 out of the 165 players survived the day. One of the first players out were Gus Hansen. Also french player David Benyamine and last years Main Event winner from Norway, Anette Obrestad, were busted out during the 8 hours of play at day one. Day 2 which ended yesterday brings the amount of players down to 9 and we therefor have a final table for later today with danish player Theo Jørgensen as chipleader.